Though Washington State legalized recreational marijuana use in 2012, increasing support and legalization of weed in other states has begun to lift societal taboos on recreational use of the little green plant. As legalization increases and people learn more about its effects and benefits, more and more cannabis companies are cropping up. We’re excited to introduce you to coworking member Monica Barry, who works for consultants in the marijuana industry! 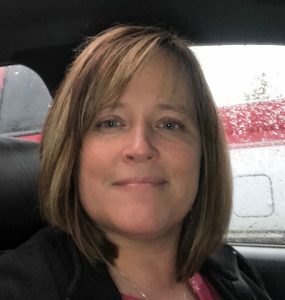 Currently, Monica is an administrator for the company Fair Market Cannabis, keeping the company on track and organized by doing the bookkeeping and completing client transactions. She originally ran a grow facility out of Tacoma, where she first met the owners of Fair Market, Jhavid and Will, who eventually offered her employment. I had the chance to ask her a few questions on her role, who she admires most, and more; read on to see her answers! Janet: What do you love most about your job? Monica: I love the flexibility I have, to work from home, a coffee shop, my family’s home, or at Hing Hay. I love that the guys are pretty nice, and honestly just really hard workers that have a passion for what they do. It makes me passionate for my job. Nobody wants to work in a job they don’t really enjoy; I am blessed that I get to. J: Who do you admire most? M: On a personal level that would be a tough one. But if we are talking Hing Hay area and Chinatown, I could easily say that since I have been walking from the ferry to Hing Hay every week (Monica commutes from Bremerton), what I have seen is a bunch of dedicated, hard working families that seem to know how to serve the community they live in. J: What do you want out of this community? M: I have already received what I want–to be welcomed and treated kindly, and I have been. Plus Chinatown has something that not all of Seattle has: amazing food choices that are unique and wonderful. J: What’s your favorite thing about coworking here? 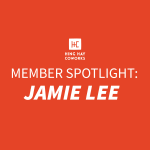 M: I am always greeted by the Hing Hay team, feel comfortable working there, and I have met a few other individuals there as well that I have enjoyed getting to know. We’re so glad you’ve joined our Hing Hay community, Monica! Thanks for tuning in! Don’t forget to check back for more community updates and chances to get to know our wonderful coworking members. If you’re interested in joining us, stop by the Hing Hay office or email us at info@hhcoworks.org to get a complimentary day pass.